The juicing craze seems to be taking over the world; a quick scroll through Instagram and almost every other person is trying out some cleanse or other. I've been looking to try one myself - I like the idea of getting loads of nutrients in one drink, but I don't like the idea of not eating any solid food for a few days; I feel funny if I don't eat breakfast in the morning, never mind going a full three days! Plus, I don't think it can be particularly good for your body to do that. 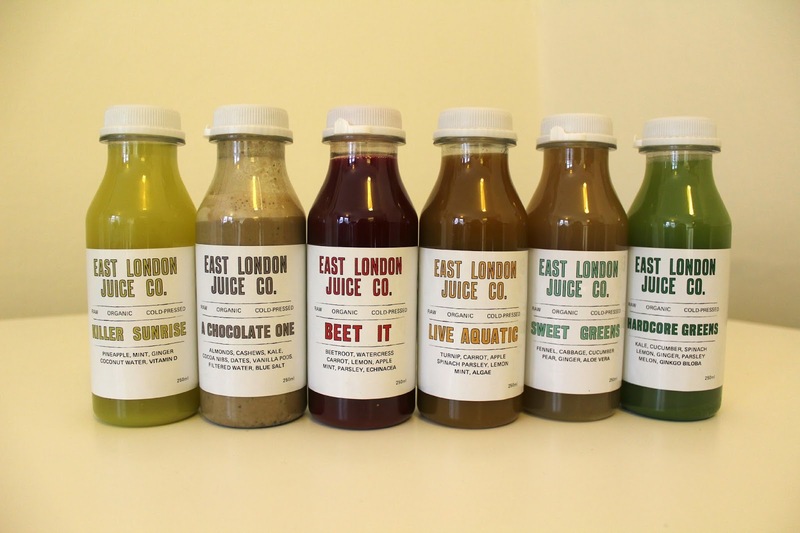 So when the East London Juice Company got in touch with me to try out their juices, it seemed like the perfect match. The idea with these is that you incorporate them into a healthy diet so you don't actually have to give up the solid stuff (music to my ears). 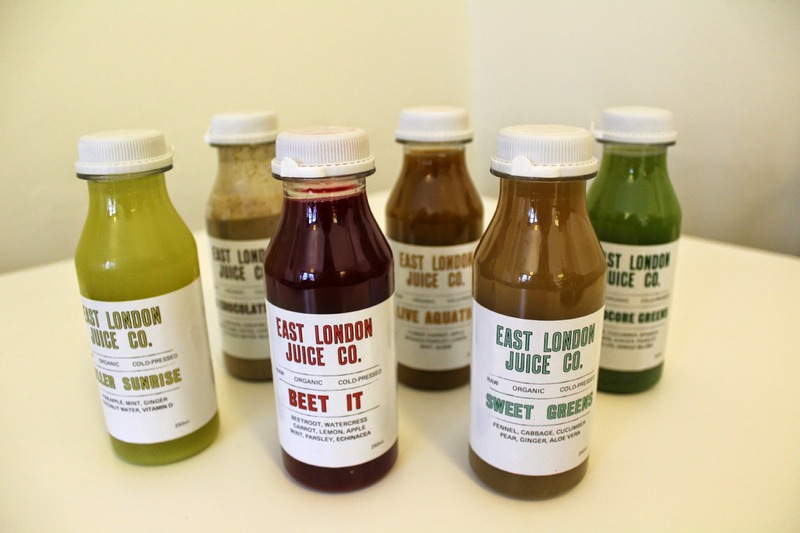 You can choose from a variety of cleanses and they'll let you know what you can eat while you're on the cleanse, or you can simply buy a load of juices of your choice. My package arrived just before New Year, so I was ready to jump on the 'healthy eating' bandwagon after the over-indulgent festive season. To be honest, when I got them and looked at the ingredients, I was not looking forward to drinking them; cabbage, turnip, algae and fennel don't exactly sound like they'll make great drinking material. To say I was pleasantly surprised is an understatement; it must be the way they blend all the ingredients together but I actually really enjoyed the juices and looked forward to starting my day off with them. The one I was least looking forward to was the 'Beet It' one because I hate beetroot but again, it was really tasty. The only one I didn't like was the chocolate one. I thought I would enjoy it the most because I'm a chocolate fiend, but it was too bitter for me and it has a few lumpy bits (I think they're the cocoa nibs) which didn't go down too well. It's not cheap but it's a great way to get a load of goodness into your body - especially if you lead a busy lifestyle and find it hard to get all your fruit and veg in, or feel like you need an extra health kick.